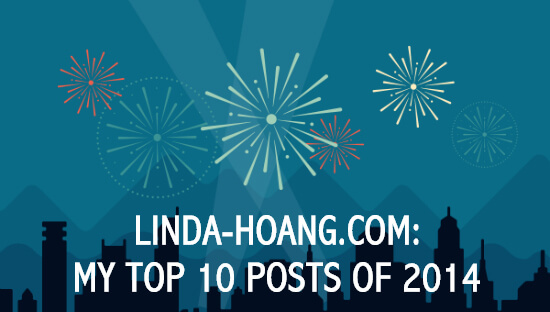 Recap: My Top Posts of 2014! In 2014, I posted 122 times. Some of my popular posts were written before 2014 so WordPress says my “writing has staying power” lol :) It is also worth noting my review of Bangkok Restaurant (also hot pot) was the Top 12 post, and my recap of our experience at a taping of The Colbert Report also made Top 11 (I note that since the show wrapped up completely just a couple of weeks ago. Tears forever). My review of one of my favourite new Italian restaurants in Spruce Grove Porta Romana, also round out the Top 15. Other tidbits – I seemed to post a lot on Mondays – that day had the most number of new posts made. My longest streak for blogs in a review was in November – when I posted at least once a day for 5 days. This was due to my series of blog post recaps of my experience at Christmas in November! And I had visitors from 135 countries but most traffic came from Canada. The U.S. and U.K. were close behind. So fun! My overall blog traffic doubled from 2013 to 2014 too. I appreciate everyone who takes the time to read this blog. So, so, appreciative! I promise to remain consistent with my posts into 2015! Coming up after this: a couple more restaurant reviews, Part 2 of my Top Edmonton Instagram Users to follow, and mine and friend @britl’s hot pot review series! As you can see from the top posts listed above, Edmontonians clearly have an appetite for hot pot reviews! Wow, so much great stuff… keep it up!